Kansas has a state digital learning plan. Kansas has an independent state level educational technology plan. The state revises the plan as needed. Kansas has requirements for districts for digital learning plans. Independent district level educational technology plans are required by Kansas and are revised every 3 years. The state provides support through e-mail and website support. Kansas does not have digital learning standards for students. Kansas does not have a unique state definition for personalized learning. Kansas has not adopted the CSTA standards. Kansas does not currently have K-12 computer science standards. Kansas does not review instructional materials at the state level. Each school district has the authority to choose instructional materials as they deem appropriate to meet educational goals and requirements. The review, selection and implementation of all instructional materials is conducted at the local level. Kansas does not have a definition for instructional materials/textbook. Kansas does not have a definition for open educational resources. Kansas references the federal definition. Kansas does not have a statute for the adoption of instructional materials. Kansas does not have a statute requiring the implementation of digital instructional materials. Kansas does not have a statute allowing the implementation of digital instructional materials. Kansas does not have a statute requiring students to take an online course prior to graduation. Kansas does not provide guidance to LEAs in the use of digital instructional materials outside of the classroom. Kansas does not provide guidance to districts for possible solutions to scheduling issues posed by inclement weather. Kansas does not have a process for the review of instructional materials. The Kansas State Department of Education does not have a process to review instructional materials. Each LEA has the responsibility to determine the type of instructional materials that will be used. Kansas does not have a process for the review of instructional materials outcomes. Kansas does not post state reviewed instructional materials. Kansas does not require districts to purchase state reviewed instructional materials. Kansas does not require districts to follow the state review process for the review of instructional materials. Kansas does not have an Education Service Agency (ESA) or other regional organization that has a process for the review of instructional materials. Kansas does not have an ESA or other regional organization that posts reviewed instructional materials. Kansas does not have a state hosted content management system or a state master contract for a content management system available to schools and districts. Kansas does not have a state hosted learning management system or state master contract for a learning management system available to schools and districts. Kansas does not have a state resource repository. Kansas does not have dedicated state funding. The Kansas State Department of Education does not have authority for LEA digital instruction procurement policies or adoption processes. Each LEA is maintained, developed, and operated by a locally elected board that has responsibility for establishing digital instruction policies. LEAs have funding available for technology education through Perkins. Kansas does not have procurement guidelines for companies interested in selling instructional materials in the state. Kansas does not have guidelines for commercial or OER publishers, developers, or vendors related to accessibility features in products/services. Kansas does not have a request for proposals/request for information process. Kansas does not have state master contract available for district and schools to make purchases directly with the state. Kansas does not have state master contract available for district and schools to make purchases directly with the publisher. 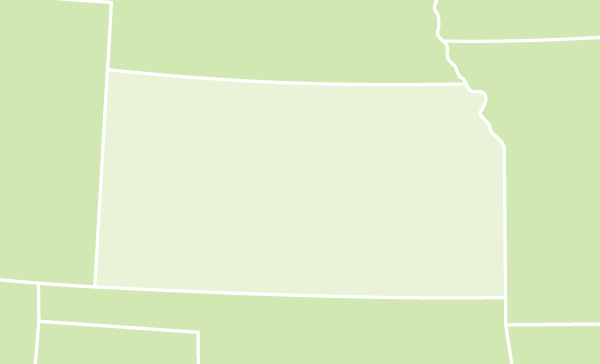 Kansas does not negotiate prices with publishers, vendors during the RFP/RFI process, and districts may purchase the materials directly from the vendor. Kansas does not manage regional groups that participate in regional purchasing consortia for instructional materials. The Kansas State Department of Education does not have a statewide initiative to support professional learning as related to Instructional Materials. Each LEA has the responsibility to determine the amount and type of professional learning to best provide to their educators. Kansas does not provide professional learning opportunities to support teachers in the selection of quality digital instructional materials (licensed and/or OER) to use in the classroom. Kansas does not develop professional learning programs. Kansas does not provide professional learning opportunities to support the development of digital OER.